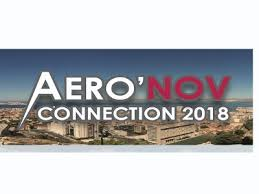 Aero’Nov Connection is the major event for aerospace industry in the PACA region. Previously organized in Paris , the event returns to PACA for the second consecutive year, thanks to a fruitful partnership with Safe Cluster. The 2018 edition will be the opportunity to highlight the know-how and skills in the region and to host a panel of SMEs, start-ups and major national and international groups. Save the date: 27 & 28 June 2018 in Marseille (Parc Chanot) ! Matra Electronique will be present at this event.